Acura is anticipating that about half of buyers will opt for either the Tech Package or the Advance Entertainment Package—so expect to see plenty of those at the dealership. The 2014 Acura MDX is more focused than ever on its mission of keeping the entire family comfortable, content, and entertained—and yes, that still includes the driver. Want a luxurious utility vehicle that's sensible and practical yet also luxurious and enjoyable to drive? Then you should place the 2014 Acura MDX near the top of their shopping list. For for more than a decade, Acura has honed the MDX into a remarkably sharp-looking, responsive-driving vehicle that doesn't include a lot of compromise. The only thing—seemingly minor to most shoppers—that you forgo with the MDX is off-road ability, or the appearance that you're ready to head out to the Rubicon. 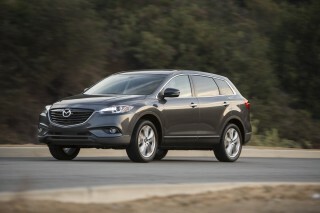 Furthermore, MDX buyers can dodge the reliability issues and depreciation that have affected some rival models. Premium-brand, three-row crossovers like the 2014 Acura MDX can make impressive, high-class alternatives to minivans for large families, and it seems that the new 2014 MDX takes a step in that direction as well. With jiggered second- and third-row seats, a new fully flat-folding second row, a lower passenger floor, and a lower cargo floor, the 2014 model takes a package that's about the same size and makes it more useful inside. While the current identity (and future) of Acura’s sedans like the RLX, TL, TSX, and ILX feels as nebulous as that next corner in the pouring rain, the MDX is clearer and more focused than ever. Design-wise, there are no big surprises. The 2014 MDX takes to a shape that's a little more sport-wagon influenced, perhaps, and mates that with interiors that are a little warmer. The sleeker profile, more curvaceous sheetmetal, and some new, precise front-end details serve to give it a leaner look overall. Our editors are split on whether Acura’s ‘beak’ front end works, but we think that it’s much more flattering on the brand’s utility vehicles—and this new MDX—than on its sedans. Crisp matte-chrome details and ‘jewel-eye’ LED headlamps altogether gives this model a streamlined, elegant look. Inside, Acura has paid much more attention to properly coordinated materials and trims, and it shows. The 2014 MDX is powered by a 290-horsepower version of Acura’s always-excellent 3.5-liter V-6 engine—now fed with direct injection and kosher with the full suite of Honda’s so-called Earth Dreams technologies. Across the lineup, it’s mated to a six-speed automatic transmission that includes steering-wheel paddle shifters. The so-called Super-Handling All-Wheel Drive (SH-AWD) system that’s available in the MDX (yes, front-wheel drive is now standard, if that’s all you need) provides more all-weather traction, and even a little more cornering control in some situations, and it can vary front-wheel torque distribution from 90 percent down to 30 percent (70 percent to the rear)—or up to a hundred percent to either the left or right wheels. The outgoing MDX has a ride that’s busy, to put it best, and one of the most delightful things about the 2014 MDX is how well it balances vastly better ride quality with handling that, almost miraculously, is more athletic—even though a little feedback to the driver is missing here. New amplitude-reactive dampers reduce the damping force for high-frequency inputs—jittery pavement surfaces, for example—while hydraulic sub-frame mount bushings help seal out road vibration. Acura claims that the new approach improves ride comfort with no trade-off to handling. It's now one of the roomiest three-row crossovers inside, unless you're willing to step up to a vehicle that's potentially too big to park. Front seats are about as supportive yet plush as you'd expect in a luxury crossover, and you can now slide the second row back and forth about six inches, and Acura has even installed a little lighted button beside the second-row outboard seats, for third-row access. A press enables a neat, cleverly-designed spring-loaded process (yes, fewer motors to short out, less weight and complication). Flatter-folding seats, better storage solutions, and a great center-console arrangement with a slide-out tray all contribute to an impression that this is a vehicle that doesn't waste your space—or your time. The 2014 MDX is also very, very quiet inside. An active cancellation system inside the cabin helps, as well as an active engine mount system that helps quell low frequency vibrations from the powertrain. Full-on acoustic glass is used for the windshield and front windows, while thicker, noise-insulating glass is used elsewhere; and Acura has added a load of insulation elsewhere, while looking at cabin air leakage to help seal out residual noise. An all-new structure aids that refinement, but also more importantly it's already resulted in some top-tier safety ratings. Additional advanced-technology safety features include Lane Departure Warning (LDW), Forward Collision Warning (FCW). a Wide View Camera, and a Blind Spot Information system. A driver's knee bag rounds out an already complete safety set, and there's also Lane Keeping Assist (LKAS), which will provide a gentle, proactive nudge to the steering to help you stay in your intended lane. The 2014 Acura MDX is offered in four different grades: base MDX, Tech, Tech Entertainment, and Advance Entertainment. Each of those four models can be specified with front-wheel drive or all-wheel drive. At the top of the line, the Advance Entertainment gets Lane Keeping Assist, front and rear parking sensors, keyfob-integrated remote engine start, adaptive cruise control with a low-speed follow feature, collision mitigation braking, the wide-screen rear entertainment system with HDMI, the top 12-speaker ELS audio system, roof rails, and Milano premium perforated leather upholstery with ventilated front seats. The 2014 Acura MDX is built in the U.S., in Lincoln, Alabama and is reaching dealerships beginning June 2013. The 2014 Acura MDX looks more like a sport wagon than ever, but that doesn’t come at the expense of functionality. 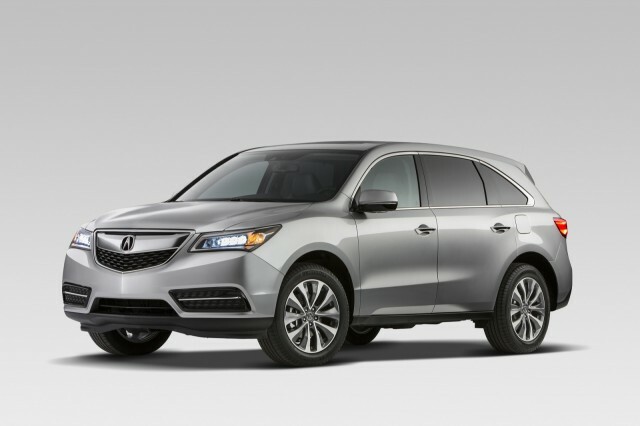 We’ve seen styling as one of several key components to the MDX’s continued success over the years, and it’s clear that Acura wasn’t out to shake up the formula in the 2014 MDX. It’s within a few inches of the outgoing model in almost every respect, but a somewhat sleeker profile, more curvaceous sheetmetal, and some new, precise front-end details serve to give it a leaner look overall. While Acura’s smaller RDX looks a bit larger with the last redesign it received, for 2013, the effect is pretty much the opposite with the new MDX. A more tapered roofline, somewhat more chiseled front end, and an even smoother rear-end design all serve to make this latest MDX impress as something that’s close than ever to a sport wagon. Our editors are split on whether Acura’s ‘beak’ front end works, but we think that it’s much more flattering on the brand’s utility vehicles—and this new MDX—than on its sedans. A relatively simple front airdam design, complemented by crisp matte-chrome details and ‘jewel-eye’ LED headlamps, altogether gives this model a streamlined, elegant look, and while in back the MDX runs the risk of being generic, with its integrated tailpipe and ‘lined’ LED lamps, it all fits in. Inside, Acura has paid much more attention to properly coordinated materials and trims, and it shows. And from a design standpoint, the dash, with its sloping, tiered look and V-shaped center stack, is a step more in pace with those in Acura’s sedans. We’re not entirely in love with the center stack's functionality—see the Quality (Comfort) and Features sections for more on that—but we like the way the entire dash fits in with the rest of the cabin, from a design standpoint. If we have a complaint about the interior styling, it’s that the interior is only offered in four interior hues—Parchment, Eucalyptus, Graystone, and Ebony. A few more are on the way, an Acura official told us, but it’s a surprisingly limited, conservative range of possibilities at a time when the Acura’s European rivals seem to be offering almost countless possibilities with various lines, trim packages, and accessories. 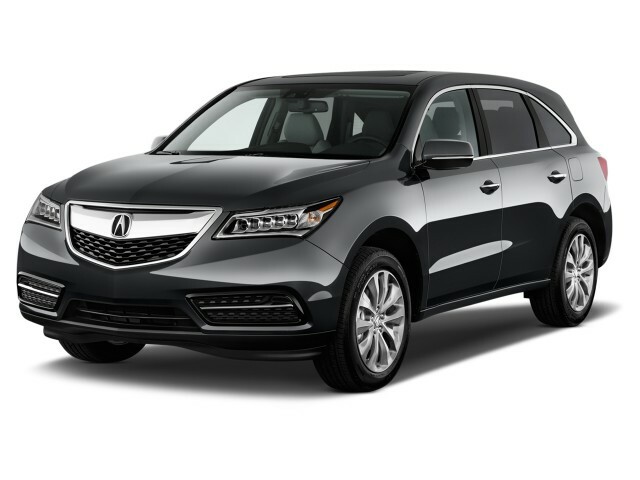 Busy parents or empty-nesters expecting a responsive driving experience will find plenty to satisfy here in the 2014 Acura MDX. The 2014 MDX is powered by a 290-horsepower version of Acura’s always-excellent 3.5-liter V-6 engine—now fed with direct injection and kosher with the full suite of Honda’s so-called Earth Dreams technologies. Across the lineup, it’s mated to a six-speed automatic transmission that includes steering-wheel paddle shifters. Click down to the 'S' mode and click the paddle-shifters, and you get quick throttle-blip downshifts. Furthermore, it's closer to a true manual mode, as the transmission here will actually let you hold onto gears—all the way up to redline, or all the way down to where you're starting to lug the engine. The so-called Super-Handling All-Wheel Drive (SH-AWD) system that’s available in the MDX (yes, front-wheel drive is now standard, if that’s all you need) provides more all-weather traction, and even a little more cornering control in some situations, and it can vary front-wheel torque distribution from 90 percent down to 30 percent (70 percent to the rear)—or up to a hundred percent to either the left or right wheels. Acura has worked to mitigate torque steer by changing the geometry in front, reducing the driveshaft angles and the center offset. The powertrain itself has been lowered, too. Likewise, the former model's trailing-arm rear suspension setup has been dumped, in favor of a multi-link, coil-over-damper layout. New amplitude-reactive dampers reduce the damping force for high-frequency inputs—jittery pavement surfaces, for example—while hydraulic sub-frame mount bushings help seal out road vibration. Acura claims that the new approach improves ride comfort with no trade-off to handling. For the most part, they're right. Although the MDX's steering feel might not feel quite as crisp, or transmit as much feel of the road, as that of the previous version, the vehicle as a whole feels surprisingly capable and coordinated when driven near the limit. With better ride quality, a quieter cabin, and improved back-seat accommodations, the 2014 MDX is going to help keep everyone comfortable and content. The MDX stands as one of the roomier three-row luxury crossovers. Front seats are about as supportive yet plush as you'd expect in a luxury crossover, but rear accommodations have been much improved. With about three more inches of wheelbase for 2014, there's a little more wiggle room if you need to regularly balance out the space between the second and third rows. You can now slide the second row back and forth about six inches, and Acura has even installed a little lighted button beside the second-row outboard seats, for third-row access. A press enables a neat, cleverly-designed spring-loaded process (yes, fewer motors to short out, less weight and complication). Although the rear roofline of the 2014 Acura MDX looks more arched than before, that's deceptive; the rear cargo floor, behind the third row, is nearly three inches longer, while the horizontal distance from the top of the third-row seatback to the window is almost six inches longer. Making it even more useful for weekend projects, or hauling furniture items, the cargo area is now fully flat when the second-row seats are folded. Acura has done away with the storage area that was beside the front footwell in the outgoing MDX, but it's done a great job in redesigning what most people frequently use: the center console area. With a multi-tiered setup, the main bin has enough space for a tablet computer, a small purse or handbag. Then just aft and above is a smaller, tray large enough to hold a smartphone and perhaps pen. Ahead of the console top, which doubles as an elbow rest, an attractive wood-toned tray pulls forward to cover everything. It has traction strips and is a good place to stow any other small personal items you need to keep an eye on while driving. There's also a large underfloor storage area in back, with a lid that can be propped up in position when you're loading. There's enough space in it for a laptop or camera bag, or an extra pair of shoes. 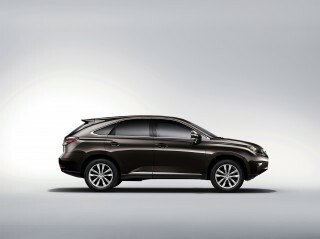 The MDX has not only active cancellation inside the cabin but also an active engine mount system that helps quell low frequency vibrations from the powertrain. Full-on acoustic glass is used for the windshield and front windows, while thicker, noise-insulating glass is used elsewhere; and Acura has added a load of insulation elsewhere, while looking at cabin air leakage to help seal out residual noise. An all-new structure, more airbags, and active features that help keep you safe and sound all add up to one of the safest vehicles in an already very safety-conscious class. The 2014 Acura MDX has an entirely new body structure, and based on all the information we see so far, it looks like Acura has made what was already a top safety pick even better. The MDX has already earned top 'good' ratings from the Insurance Institute for Highway Safety (IIHS)—including the Top Safety Pick+ accolade—as well as top five-star scores from the federal government in frontal and side impact (and overall). MDX models with the Technology Package add Lane Departure Warning (LDW), which will warn you when you're straying out of your travel lane, and Forward Collision Warning (FCW). Which warns you of a rapid closing distance on a vehicle or barrier ahead. In addition to the full roster of airbags, a driver knee airbag has been added for 2014. A Wide View Camera system is included on all models, and a Blind Spot Information system is included in all models but the base MDX. Our only wish is that Acura had reached into the Honda parts bin and also thrown in the excellent LaneWatch system from the Honda Accord. Advance Entertainment models also have Lane Keeping Assist (LKAS), which will provide a gentle, proactive nudge to the steering to help you stay in your intended lane. The 2014 Acura MDX comes in four very well-equipped models, with some additional layers of technology innovation available to those willing to pay a little extra. The 2014 Acura MDX is offered in four different grades: base MDX, Tech, Tech Entertainment, and Advance Entertainment. Each of those four models can be specified with front-wheel drive or all-wheel drive. The new 2014 MDX starts at $43,185, which is just below what last year's base AWD model cost. Jump all the way to the top-of-the-line Advance & Entertainment model and you'll bottom-line at $57,400. In this class, that seems very competitive. Tech models add navigation, AcuraLink, ELS Studio audio, GPS-linked climate control, Blind Spot Information, rain-sensing wipers, Forward Collision Warning and Lane Departure Warning, puddle lamps, HD Radio, a rear-door smart entry feature, a color TFT display in front of the driver, for turn-by-turn directions, and 19-inch alloys. Step up to the Tech Entertainment model, and you get DVD Rear Entertainment, a 150-watt AC inverter, heated second-row seats, and second-row window shades. At the top of the line, the Advance Entertainment gets Lane Keeping Assist, front and rear parking sensors, keyfob-integrated remote engine start, adaptive cruise control with a low-speed follow feature, collision mitigation braking, the wide-screen rear entertainment system with HDMI, the top 12-speaker ELS audio system, roof rails, and Milano premium perforated leather upholstery with ventilated front seats. 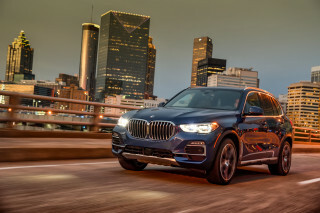 The Active Cruise Control system that's included in Advance Entertainment models now includes a low-speed follow feature that will maintain a set following distance and will come to a complete stop with slow-moving stop-and-go traffic. Side mirror positions, climate preferences, radio presets, and seat position can now all be tied in with individual key fobs, and one that comes with the Advance Entertainment model is of a new long-range bi-directional sort. You can remote-start the vehicle from up to 100 yards away (with a climate-control preconditioning mode for very cold or hot days), and the fob will give you a reminder, with a green light, when the engine is running. The MDX’s AcuraLink system includes a complimentary three-year subscription to the ‘Standard Package’—with traffic info for surface streets and freeways, vehicle messaging, and integrated Aha and Pandora entertainment. A Connect Package adds Assist Services, Map Services, and MyVehicle (remote vehicle services and diagnostics). Full-on concierge services are available with a Premium Package. Separate options include back-up sensors, an engine-block heater, a cargo cover, a cargo mat and tray, wooden steering-wheel and shift-knob trim, a first-aid kit, and a few appearance accessories (side molding, running boards, garnish trim, and mudguards). While the base audio system includes eight speakers and 432 total watts, the premium Acura/ELS audio system now actually comes in three configurations. With the Technology Package, you get ten speakers and 501 watts. Step up to the Tech and Entertainment Package, with its DVD rear entertainment system, and there are eleven speakers and 529 watts. Then at the top of the line, with the Advance Package (and its 16.2-inch Ultra-Wide HDMI entertainment system), you get twelve speakers and 546 watts. Streaming apps are now available through Aha and Pandora. The Acura MDX now stands as one of the most fuel-efficient picks with three rows of seats. At an EPA-rated 18 mpg city, 27 highway, the all-wheel-drive version of the 2014 Acura MDX actually gets 6 mpg better than its predecessor on the highway. 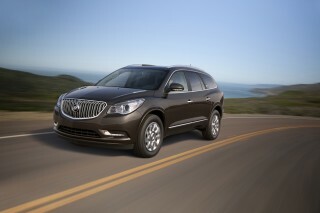 And at 20 mpg city, 28 highway, the MDX is better than virtually any other three-row utility vehicle in this class. Honda says that it's the first of its utility vehicles in which underhood flow was included in aerodynamic design, and it claims a best-in-class coefficient of drag (as measured in its own wind tunnel, against rivals that include the BMW X5, Audi Q5, Lexus RX 350). 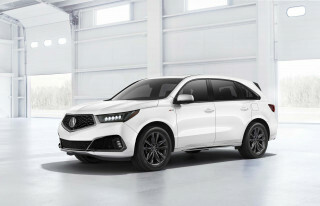 The aerodynamics, as well as improvements like low-rolling-resistance tires, allow the 2014 MDX to coast for more than 1.5 miles from 70 mph, Acura says. Overall, I have been very satisfied with my MDX. 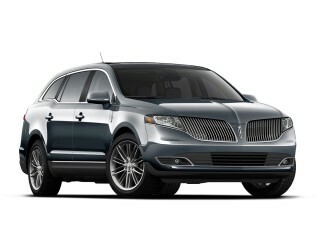 If I buy another MDX I would pass on the technology. My cell phone can provide the navigation and it gets updated automatically. The new MDX has all the safety... Overall, I have been very satisfied with my MDX. If I buy another MDX I would pass on the technology. My cell phone can provide the navigation and it gets updated automatically. A great car with lots of gadgets that I use. This is my 5th MDX and the best yet. Super quite, and steers itself on the highways. Air cooled seats, nice GPS Navigation. I will buy another one in the future. 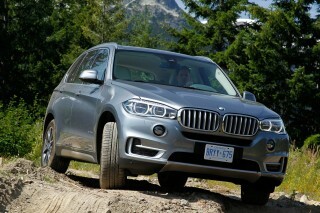 This is an awesome SUV that is priced below it real value. Awesome SUV even after 20000 miles. It drives very. It is very quite and the advance package is a blessing on long highway drives. Looking for a different year of the Acura MDX?